Review: The Wife of John the Baptist by K. Ford K.
History and fiction merge beautifully in K. Ford K.’s vibrant, breathtaking novel about the man who became John the Baptist and the woman who loved him, his wife. K. Ford K. transports readers to a richly imagined landscape where Hessa, the daughter of a Greek trader, is being prepared for her marriage to a wealthy man. But when Hessa meets a charismatic, young man named John, who is rumored to be a prophet, she falls in love and runs away to marry him. Told in Hessa’s voice, this novel reveals the mystery of a man who was greatly admired in his time and who changed our way of thinking forever. Rich storytelling combined with epic history give us an unforgettable story, as only the wife of John the Baptist could tell it. I didn't become a fan of historical fiction until just recently. Reading a book a great as this one makes me sad that I didn't take up reading them earlier. I wasn't very familiar with the bible version of John the Baptist so I didn't have any idea how the story would play out. I also went into the book knowing that it was 100% fiction so I didn't have any objections as to how the story was told. What I really enjoyed the most about The Wife of John the Baptist is that John's wife, Hessa, has the ability to "read" the feelings of anyone she touches and the history of any item she touches. It really gives insight into Hessa's motivation throughout the book. 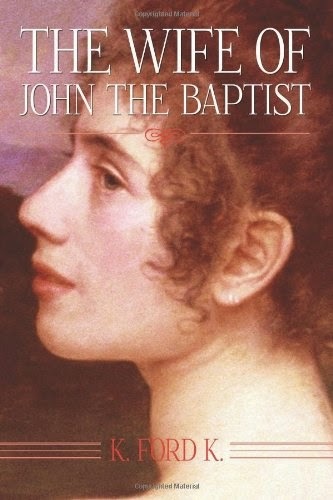 Reading this book encouraged me to read more about John the Baptist and even after learning a little more about his life, I still loved that I had a chance to read this one. I highly recommend this book for anyone who loves historical fiction and romance. Libby Day was seven when her mother and two sisters were murdered in “The Satan Sacrifice" of Kinnakee, Kansas.” She survived—and famously testified that her fifteen-year-old brother, Ben, was the killer. Twenty-five years later, the Kill Club—a secret secret society obsessed with notorious crimes—locates Libby and pumps her for details. They hope to discover proof that may free Ben. Libby hopes to turn a profit off her tragic history: She’ll reconnect with the players from that night and report her findings to the club—for a fee. As Libby’s search takes her from shabby Missouri strip clubs to abandoned Oklahoma tourist towns, the unimaginable truth emerges, and Libby finds herself right back where she started—on the run from a killer. OH EM GEE!! I could not get enough of Dark Places. I've read plenty of books that have made me want to skip to the end just because I was dying to find out how it all turned out but this one tops them all. I just couldn't figure out what was going on and as I read each chapter I kept flip flopping on whether or not Ben was innocent. This was the same way I felt when I read Flynn's other bestseller, Gone Girl. When I did finally get to the end I just couldn't believe this was how it all ended. It was kind of like I loved it and hated it all at the same time. 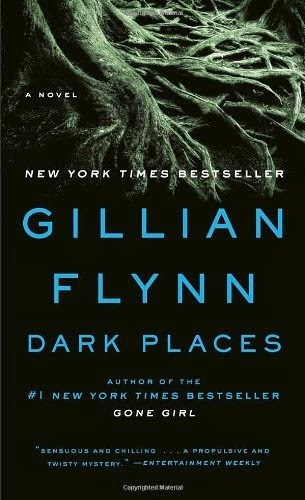 Dark Places is definitely one of those books that you'll be thinking about long after you turn the last page. I recommend this one to anyone who loves an edge of your seat suspense thriller.